A church minister who helped a colleague abuse women under the pretence of exorcising their demons has been jailed. Laurence Peterson, 59, helped pastor John Wilson, 70, sexually assault six women between 1984 to 2010. On one occasion Peterson barricaded a door to stop the victim's husband entering during one of Wilson's so-called "deliverance sessions". Peterson, of Eric Street, Keighley, was jailed for eight years and six months. He was found guilty, after a trial at Bradford Crown Court, of conspiring with Wilson to commit indecent assaults and aiding and abetting his colleague. 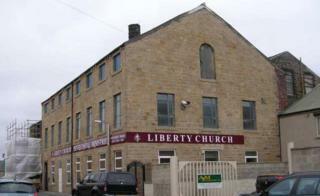 Wilson assaulted the women with the help of his wife Mary, 79, and Peterson, while serving at the Liberty Pentecostal Church in Keighley. Judge David Hatton QC said while Wilson had been the principal offender Peterson "cannot but have been aware of what his form of ministry entailed". He said: "Indeed you told the police when you were interviewed that it was frequently necessary to bar escape by those who were receiving the so-called ministry from him." Wilson, of Shann Avenue, Keighley, was jailed for 21 years in September after being found guilty of indecent assault charges. His wife, also of Shann Avenue, was jailed for 22 months, suspended for two years, after being found guilty of aiding and abetting indecent assault. Wilson and Peterson have both been barred from doing ministry work or holding any official or semi-official position in any public or private church or religious organisation indefinitely.